delight, fascinate, captivate, charm, enrapture, love, gratify, glee, frutify, relish, comfort, cheer, refresh, amuse, beautify, blest, entrance, please, rapture, ravish, pleasure, ecstatic, joyful, rejoice, glad, luxuriate, indulge, treat, blissful, delect, satisfy, ease, sparkling. Related to: paradise, elysium, heaven, sunshine, golden age, Shangri-La. Welcome to your garden. A garden where you can appreciate the amazing floral diversity we can grow in India. Connect with plants. See them. Feel them. Smell them. Be one with them. Be amongst them. It is your garden to enjoy. Come… get Enchanted! Gardening is one of the best activities you can undertake. It is good for the body. It is good for the mind. And it is good for the environment. Gardening helps us connect to our roots. Gardening helps us know who we are and where we come from. Thousands of researchers have proved the therapeutic benefits of gardening. Modern life is full of unhealthy compulsions like urbanization, pollution, stress etc. Gardening helps undo these. Work your garden with your entire family. Get yourselves closer to each other and to nature. Harvest more than just fruit. Harvest a lifetime of joy. 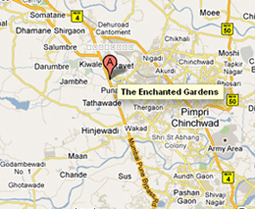 The Enchanted Gardens is conveniently located just before the Pune – Mumbai Expressway (on the Pune side). Currently it is under the name of TUKAI EXOTICS our main farm. Change of name is expected to happen as soon as required legal formalities have been completed. The Enchanted Gardens is the ultimate garden for you to come and enjoy. 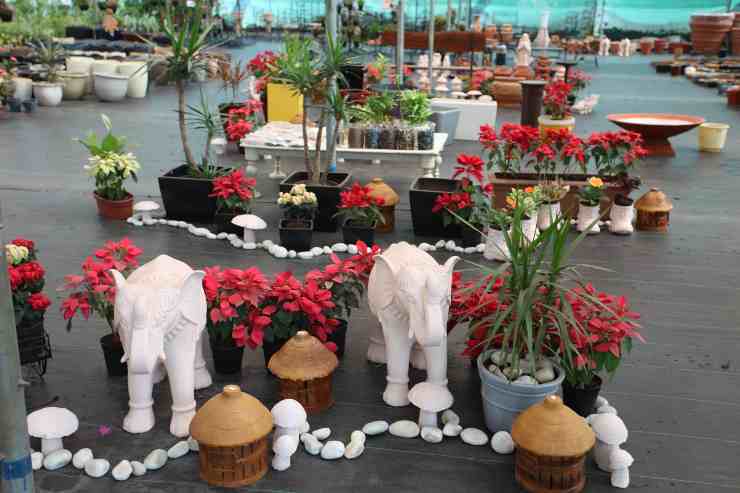 Spread over a sprawling 12000 square meters – it is one of the largest such display spaces in India. 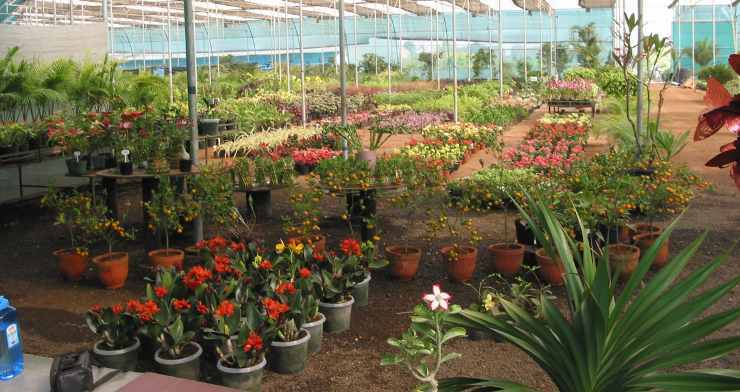 If you require plants for your farmhouse, bungalow, apartment, living room or even your bathroom – we have them. We have a diverse range of garden accessories too. Choose your plants. Choose the pots for them. Get them planted. We have customized solutions to suit your requirements. We are here to make your surroundings colorful. Gardening is the number one leisure activity in many nations. Let us make this happen in India too. From Mumbai – At the end of the Mumbai Pune Expressway on the Pune side – you have to take a natural right to go towards Pune/Satara/Kolhapur/Bangalore. Within 2 kms of the expressway exit (takes a minute or two) you will come across a bridge of the river Pawna. We are immediately after the bridge on the left hand side. From Pune – 2 kms or so before the start of the Pune Mumbai Expressway – you will come across a bridge on the river Pawna. We are on the right hand side before the bridge. To get there you will have to go on – cross the bridge – take a U turn and come back. We are open 365 days of the year. 09:30 am to 05:30 pm. All garden accessories at The Enchanted Gardens are by M/s. Garden Essentials.